The following is a guest post by Angela Douglas on Lot30 during the WinterDine Festival. We made a reservation for 730 on Sunday and the restaurant was pretty near empty. It is a nice spot although the music was something to be desired. We were starving and it took about 30 mins before we received our apps but we did get some yummy warm rolls and wine to hold us over. As you donâ€™t make friends with salad, we ordered the haddock and tuna casserole. 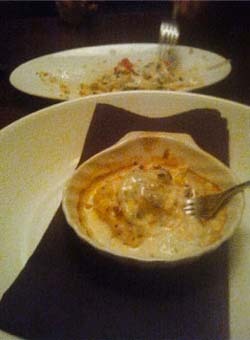 The tuna casserole was delicious and the haddock was good, very rich and creamy. They should put the tuna casserole on their menu. The portion size was pretty big too. So I finally remembered to take a pic before we started eating! Presentation was good, as always. 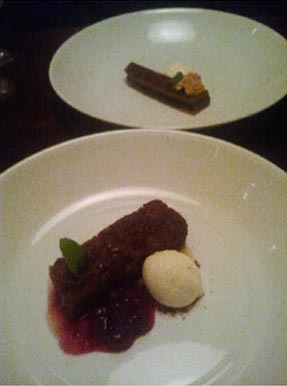 The chocolate tart was very good and the spice cake was a little heavy but the ice cream was very good. Overall, I wasnâ€™t that impressed. I expected a bit more from Lot 30. 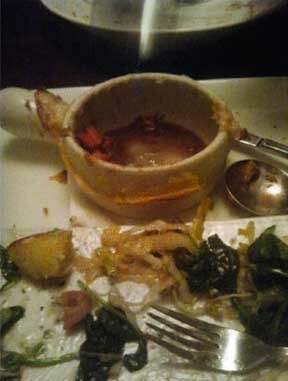 The service was good, our waiter was very attentive but for $100 (food and wine) I think I would go elsewhere.